Newcastle University celebrates 50 years in 2015. This video takes a look at the fun night had by all at the opening night of the 50 year exhibition with a focus on what Uni may be like 50 years further down the road. 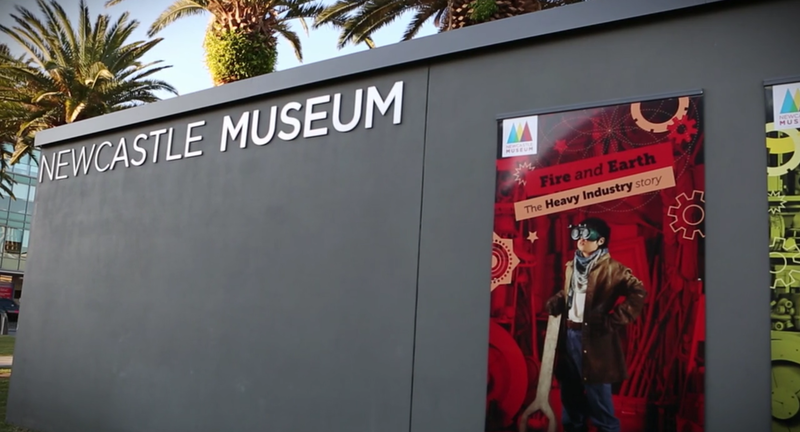 With Newcastle University celebrating 50 years in existence in 2015, an exhibition was commissioned to coincide with this occasion at the Newcastle Museum located at Honeysuckle. One aspect of the exhibition was about looking into the future to what Newcastle University life may be like 50 years from now, on the opening night Sydney based artist Alexis Pepper was there at the exhibition to draw live on the wall people's ideas for the future. Upon talking with representatives from the University we had our brief and inspiration material and set out to achiveve what they wanted. One of the main requests was that we set up a timelapse of the artist drawing live on the wall and to feature it in the video. We achieved this and more, setting up a second timelapse to capture everything from multiple angles, this was supplemented with footage of everyone enjoying themselves at the opening night and high quality illustrations of the wall in it's original form came straight from the illustrator himself: Ben Mitchell. The end product turned out a treat, with the university labeling it a complete success.